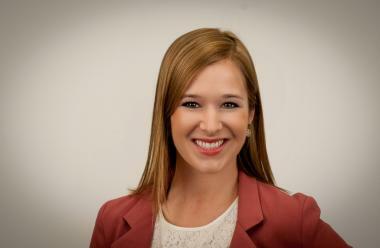 Jackie Kostek is a reporter/producer for DNAinfo.com Chicago providing daily news video updates. Jackie joined DNAinfo Chicago from Columbia Journalism School in New York City, where she earned a Master’s in journalism. After graduation, she spent the summer road tripping with a group of nuns as an assistant producer for a Bill Moyers documentary. Born and raised just outside of Minneapolis, Jackie graduated from the University of Kansas in 2009 (rock chalk Jayhawk!). During college, she held an internship with a nightly news show in Sydney, Australia and worked as a director and producer for an on-campus sports show. Jackie also spent two years teaching Head Start in Washington, D.C., as a Teach For America corps member. As a journalist, she has reported on hot button education issues: co-location, charter schools, school closings and high-stakes testing. Fun fact: Jackie inherited a love for journalism and broadcast news from her great aunt Dorothy Soper, who hosted her own live cooking show and appeared frequently on the NBC nightly news in Los Angeles in the late ‘50s and ‘60s. The arts education theater group turns stories written by students into professional shows. The North Uptown Neighbors block club sent its approval of the plan to the alderman's office. The annual holiday family night at Chase Park is free and begins at 6:30 p.m. Friday. Jackie Kostek discusses the best places in Chicago — and beyond — to celebrate the end of Prohibition. The meeting for beat 1915 starts at 7 p.m. at the Ruth Shriman House. Foursquare rounded up the nation's top 15 most historic bars from the Prohibition era. The museum will show the film 'Fanny and Alexander' at 1 p.m. and again at 7 p.m. Thursday. The meeting for beats 1923, 1924, and 1925 starts at 7 p.m. at the 19 th District Police Station.